The role of KDE e.V. I wrote this article for KDE e.V. 's quarterly report Q2 2010. I'll reproduce it here in case you haven't seen it yet. In short, KDE e.V. is the organization, which represents, supports, and provides governance to the KDE community. It gives the community a legal body so it can participate in activities which require a legal representation, somebody handling money, or a way to legitimize individuals to speak and act for the community. Before I go into some more details of this threefold role of representation, support, and governance, here is a brief explanation of how KDE e.V. is set up organizationally. KDE e.V. is incorporated as a non-profit association according to German law. The e.V. actually stands for "eingetragener Verein", which means "registered association". This is a very common legal form in Germany, which is used by hundreds of thousands of associations covering all kind of different activities from sports to animal rights to free software. This organizational form provides a very solid legal framework, which makes sure that questions about who can be a member, how decisions are made, how representatives are elected, how budgets are handled, and many other things all have well-defined answers. It also ensures that members are in control of what's happening in the organization. Many other free software organizations have foundations as representing organizations similar to how KDE e.V. represents KDE. KDE e.V. is also recognized as tax exempt by the German financial authorities as its goals and activities are targeted at the public good. This also means that at least in Germany donations and membership fees provide tax benefits for donors and members. The membership of KDE e.V. consists of the core of the KDE community. New members are voted in by the existing membership and the goal is to have a good representation of the overall community as members. Currently there are 165 members which are elegible to vote about KDE e.V. decisions. But now back to the three roles of KDE e.V. in the KDE community; representation, support, and governance. Representation is the most formal aspect of KDE e.V. A community like KDE - dynamic, distributed, mostly made of volunteers - has no natural way to handle situations where it's required that someone officially speaks for the community, signs contracts, or accepts money. This gap is filled by KDE e.V. Because its members are representing the core of the community, and because KDE e.V. owns some of the central assets of the community like the trademark and the domains, it can act on behalf of the community. The legal structure of its incorporation makes sure that this is handled properly and KDE e.V. 's activities actually represent the intention of its members. So whenever a formal representation of the KDE community is needed KDE e.V. becomes active. This can mean signing contracts in the name of the community, it can mean accepting transfer of rights, e.g. with the Fiduciary License Agreement, or it can mean providing a way to give money to the KDE community. The second important role of KDE e.V. is supporting the KDE community in creating free software. Because KDE e.V. acts as central broker of resources, it's able to provide financial support for a lot of activities. This shows in developer sprints, the annual Akademy conference, travel support for community members to all kind of community events, and the people we employ in our office, who provide organizational and administrational capabilities to the community in all kinds of different ways. This support would not be possible without the many donors and supporting members of KDE e.V., help which is very much appreciated. In addition to the material support, KDE e.V. also provides other support. It provides a forum for the core of the community to discuss and make decisions. It also acts as a central point of contact, and is of course also an important part of the identity of the KDE community. Last, but not least, there is the governance part. This is dominated by one important decision KDE e.V. has made, which is the decision to not control the process of creating the KDE software. KDE e.V. explicitly leaves that to the proven open source development processes, with its focus on peer interaction, deciding by doing, and all the other meritocratic elements, which found the huge success of this model. So KDE e.V. does not decide about technical questions, release schedules, what software to include, or how the community is organized in terms of software development. Sometimes it's still needed to have a way to legitimize individuals or groups of community members to act in some official capacity. That's where KDE e.V. takes on a certain degree of governance. 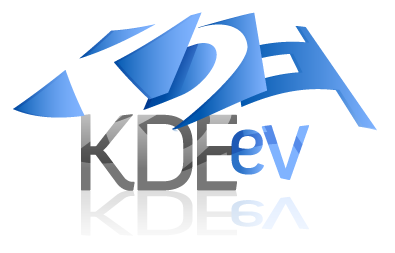 One example of this are the working groups of KDE e.V. which include, the community working group, the marketing working group, the sysadmin team, or the board. They are endorsed by KDE e.V. and so are able to act for the community and sometimes make decisions in the areas where this is needed. This mostly boils down to a question of representation of support again, which somehow closes the circle. The value of KDE e.V. for the KDE community can't be underestimated. A community of this size couldn't work effectively without a mechanism to bring together representation, support, and governance roles. KDE e.V. has grown and is still growing together with the community from its inception in 1997 to these days of 2010, and a lot of this common growth can be attributed to the healthy and effective relationship between the KDE community and KDE e.V. as organization behind it.